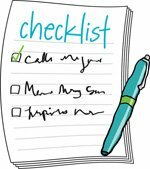 If your resolve to get organized has started to fade, today’s post will help you get back on track. 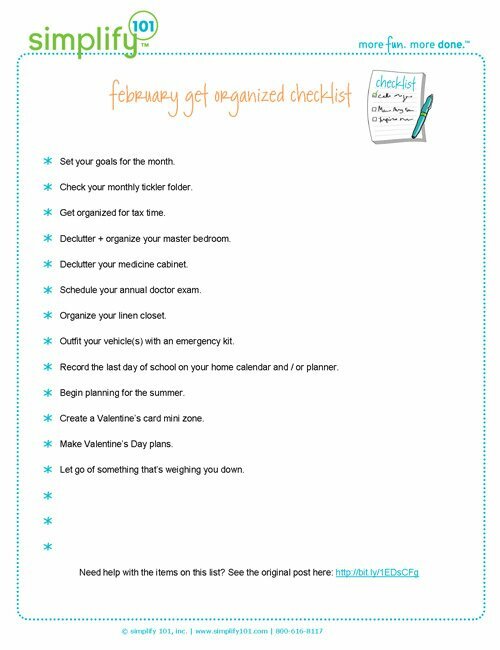 That’s right, your February Get Organized Checklist is here and it’s loaded with simple organizing projects that will take the guess work out of getting organized. Set your goals for the upcoming month. The most organized months begin with a plan! Take a few minutes today to think about what you’d like to accomplish in the month ahead. Remember, goals and resolutions don’t have to be reserved for January alone. So if you set some goals back at the start of the year but find yourself not so motivated anymore, today is a great day to get back on the bandwagon! Try bite sizing one of your goals into something that is inspiring but doable in the month ahead. For example, if you set a goal to organize your entire home by June 1st, pick one room to focus on and finish during the month of February. Check your monthly tickler file. 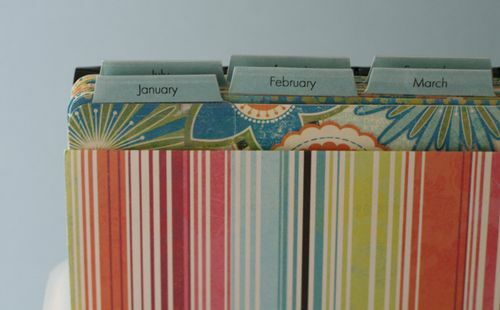 If you’ve taken my Organize Your Paper Clutter online class and use a tickler file, remember to check your February folder today and disperse the contents into your daily folders. Get organized for tax time. If you haven’t done so yet, carve out a designated spot for tax documents that are arriving in the mail. This will save you time as you pull together your documents for your tax preparer, or complete your own taxes. Declutter and organize your master bedroom. Declutter your medicine cabinet. Purge any out-of-date over-the-counter or prescription medications. Then, restock for cold and flu season. Here’s one way to organize your medicine by family member. Schedule your annual doctor exams. Organize your linen closet. Declutter anything that’s worn out or faded, and make a shopping list and take advantage of white sales to replace needed items. Outfit your vehicle(s) with an emergency kit. A first-aid kit, flashlight and jumper cables are essential. These items can be purchased separately or come in convenient kits like this one. Record the last day of school on your home calendar and / or planner. Begin planning for the summer. Evaluate summer camp options for your kids, and create a file folder to organize any information you print out or collect as you do your research. Create a Valentine’s card mini zone. See how to create one here. Make Valentine’s Day plans. Call for dinner reservations with a friend or loved one, or plan a special dinner at home. Let go of something that is weighing you down. If you find letting go to be difficult, see my article on Seven Keys to Letting Go of Clutter.